The award-winning Real Boxing franchise, excelling at bringing the true boxing experience to mobile since 2012, has been enjoyed by over 45 million players around the globe to date. Today marks the beginning of a new exciting round — through a partnership between the series developer Vivid Games and GTOKEN, a free-to-play title Real Boxing Manny Pacquiao debuts on both the Apple App Store and Google Play! It is the only mobile game on the market featuring the fan-favorite Manny Pacquiao, widely considered to be one of the best boxers of all time. “Boxing is my love and I hope to share my passion with fans through Real Boxing. If you’ve been supporting me, I’m really thankful and I’ll be happy if you win one of the unique boxing gloves sets I signed especially for my biggest fans and the best Real Boxing players” commented Manny Pacquiao. In the feature-filled Real Boxing Manny Pacquiao players can compete in a variety of game modes. From kickstarting a boxing career in training mini-games, through comprehensive career mode, to dedicated Manny Pacquiao Challenges and online multiplayer Weekly Tournaments, every pugilism enthusiast will feel right at home. 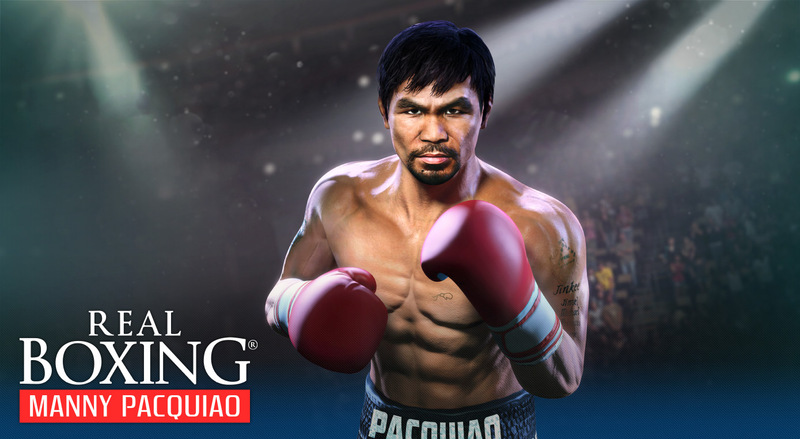 Packed with extra features and robust customization options, the game also offers Manny Pacquiao licensed boxing gear & exclusive in-game items to unlock. “The release of Real Boxing Manny Pacquiao sees our flagship series securing the second major boxing license. Having previously welcomed the legendary Rocky Balboa in Real Boxing 2 ROCKY, we are now excited to invite millions of Pac-Man fans from around the globe to fight as their idol,” said the Vivid Games CEO Remi Koscielny. GET BACK IN THE RING!